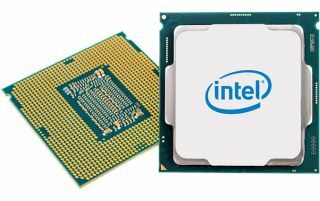 Earlier this week at Computex, Intel revealed its Core i7-8086K – so named because it celebrates the 40th anniversary of the first 8086 chip – and the company is kicking off a sweepstake today that gives you a chance to win one of these limited edition processors that boost to 5GHz out-of-the-box. The competition goes live at 5pm PT in the US (that’s 8pm ET, or 1am BST in the morning, so technically tomorrow in the UK), and runs for 24 hours. Only those in the US, UK and Canada (excluding Quebec) can enter, along with the following European and Asian countries: France, Germany, South Korea, Japan, China and Taiwan. There are certain amounts of processors allocated to the various different regions, with some 2,086 CPUs up for grabs in the US, and 500 in the UK. You’ll need to provide your email address, which Intel will use to notify winners no later than two weeks from the end of the competition. Delivery of the CPU could take up to two months depending on where you live, but if you bag one, you aren’t likely to be moaning about the wait. The i7-8086K is a six-core (12-thread) processor with a base clock speed of 4GHz, and as mentioned it hits 5GHz turbo out-of-the-box, before any overclocking has been applied.